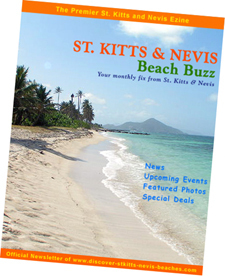 The St Kitts Nevis Beach Buzz, the "Buzz" for short, is a St Kitts and Nevis newsletter that takes you behind the scenes to uncover the secrets of St Kitts and Nevis, two virtually undiscovered Caribbean gems. As a twin island Federation in the North East Caribbean, the appeal of St Kitts and Nevis goes way beyond the traditional sun, sea and sand. Rather it is the blend of natural attractions including lush rain forest and diverse golden and black sand beaches, world class historical attractions and the warmth and hospitality of the people that give the islands of St Kitts and Nevis their definition. 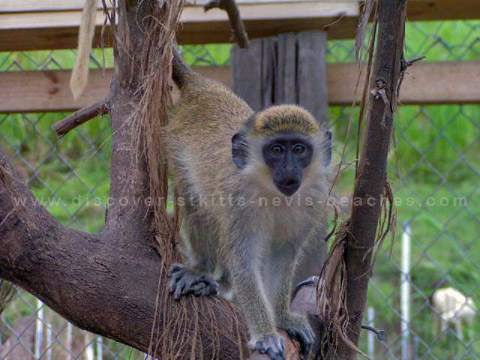 Now, you too can share in the discovery of St Kitts and Nevis, two original Caribbean travel destinations, by keeping in tuned with the "Buzz", the online newsletter of discover-stkitts-nevis-beaches.com. Follow updates of my website and keep informed of the best of St Kitts and Nevis... be it beaches, attractions, accommodations, culture and heritage. All this and much more when you subscribe to the "Buzz", our very own St Kitts Nevis online magazine. To ensure that you receive your copy of the newsletter and prevent it from being filtered by your SPAM filtering software, please add The_St_Kitts_and_Nevis_Beach_Buzz(AT)discover-stkitts-nevis-beaches(DOT)com (replace AT with @ and DOT with .) to your e-mail white list. If you subscribed to the newsletter and are not receiving it, then your ISP e-mail filters are preventing the newsletter e-mails from getting through. Please add the above e-mail to your e-mail white list.